Welcome! This website is a dump of all my cartoony drawings ever. Enjoy! Please see the commissions page to see if I'm currently accepting new commissions. My email address is . Email is the quickest and most reliable way to get in touch with me. I'm also very active at crimsonflagcomic.com, and my Deviant Art gallery is virmir.deviantart.com. Can I print your artwork for personal use? Absolutely! No need to ask! Can I put your artwork on my website, use it as a forum avatar, etc? If I drew the artwork for you, go right ahead! If I did not draw the art for you, please ask. A lot of my drawings actually are of characters owned by other people. So it's best to check first. If it is my character, I still want to know where it's going to be displayed. The exceptions are Crimson Flag Comic characters. You can use those as forum avatars all you like. 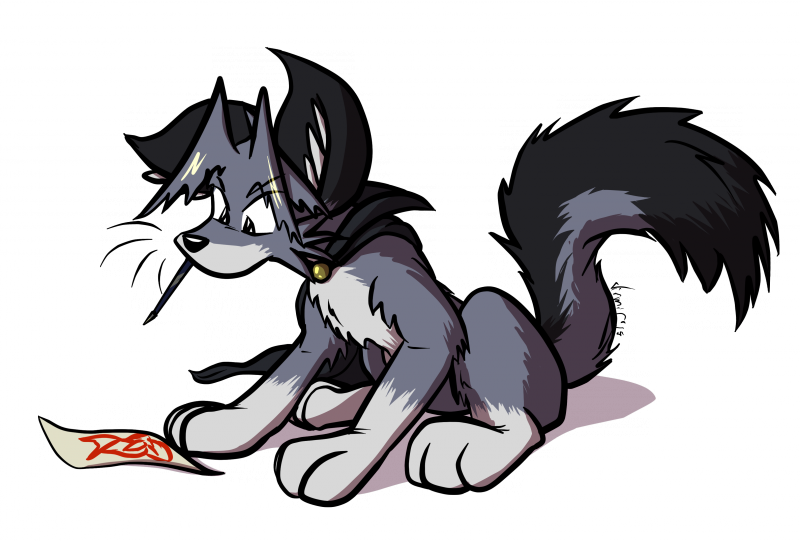 Can I repost an image you drew for me on Deviant Art, FurAffinity, etc? Sure thing! Just link back to me and/or the original artwork, please. Can I color your linework/inked drawings? A lot of people like to color line drawings, and I don't see any harm in it. Knock yourself out! Please link back to the original artwork wherever you post it, though. Can I modify your artwork? Please don't, except for line-art colorings. Can I draw fan art of your characters? Of course! I love fan art. Just make sure it's my character you're drawing, as half if not more of the art I draw is for other people. Can I use your character in a comic or story I draw/write myself? A cameo is certainly a-okay. If it's a big production or major role you're planning, please drop me a line first.